You need sunscreen that works with your skin, not against it. 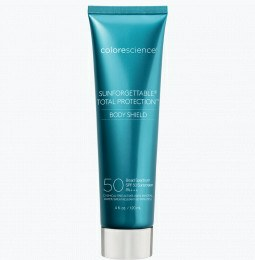 Colorescience paraben-free sunscreen shield’s your skin from the sun’s harmful UV rays without the irritating effects of parabens, so your skin stays healthy all day long. Parabens are a group of related chemicals commonly used as preservatives in cosmetic products. Brands have used parabens since the 1950s to prevent the growth of bacteria and mold in their products. The most common parabens in beauty products are butylparaben, ethylparaben, methylparaben, and propylparaben. You can find parabens in hair products, moisturizers, shaving products, makeup, and sunscreen. Why should I avoid parabens? Parabens have been known to mimic the activity of estrogen in the body. Estrogen is a female hormone responsible for the development of female reproductive organs and regulates menstruation. Manipulating estrogen levels can contribute to breast, endometrial, and uterine cancer as well as fertility issues. Are there skincare products without parabens? Yes! 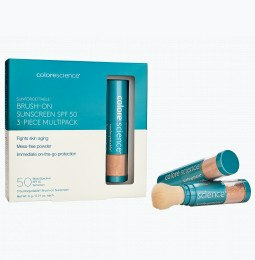 Sunscreen from Colorescience is paraben-free to prevent skin-damage. 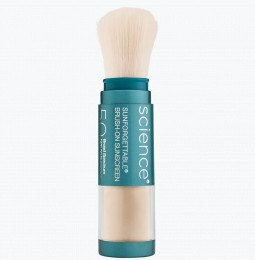 Our oil free powder sunblock brushes on easily so you can touch up throughout the day without the grease of other sunscreens. We provide hypoallergenic sunblock for all skin types, whether you have oily, dry, sensitive, or combination skin. 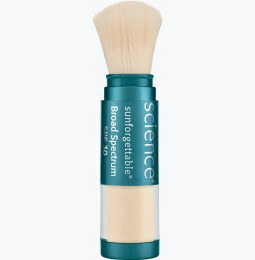 With Colorescience, you get all the protective benefits of sunscreen without the irritating effects of parabens. You can also protect your newborn’s sensitive skin with our hypoallergenic baby brush-on sunblock. Are there other ingredients I should avoid in sunscreen? There are other common chemicals in sunscreens you might avoid, including PABA and oxybenzone. PABA, or Para-AminoBenzoic Acid, is an antioxidant that can cause dizziness, diarrhea, fever, liver damage, nausea, rashes, and coma. If you experience these symptoms, seek medical help and use our PABA-free mineral sunblock to prevent future allergic reactions. Oxybenzone is a common chemical that’s used to absorb UV light. The EWG has rated it a highly-toxic ingredient that gets absorbed into the body through skin, and has been linked to hormone disruption and skin cancer. A non-oxybenzone sunscreen from Colorescience will provide all of the coverage with none of the negative side effects that of oxybenzone. Colorescience skincare products are paraben-free so you can achieve healthy, radiant skin. Our hypoallergenic non-scented sunscreen is designed for all skin types, and it’s the preferred sunblock for acne prone skin. 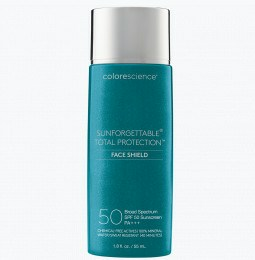 Keep your skin healthy and protected with paraben-free sunscreen from Colorescience.